Traveling with your horse can be fun and exciting, but in some cases, it can prove to be dangerous. Transportation has the capacity to cause bodily harm to the animal. If you own a horse you would know that traveling goes hand in hand with owning a horse, but a bad journey can have dire consequences. 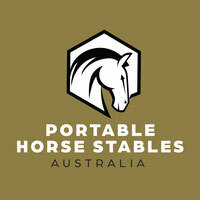 We have made a list of things that can help keep your horse safe while travelling. If you decide on a long trip across states it is wise to carry proof of your horse's health. The most common travel documents needed are health documents when moving horses. These proofs may include reports on proper testing and vaccinations to meet the health requirements for the state into which you are traveling. The certificate of veterinary inspection or health certificate should be issued within 30 days of the date of travel. To avoid any issues with authorities it is advised to discuss your travel plans with a veterinarian to determine what documentations are required for your trip. All vets may not be Brand Inspectors, therefore it is best to check before you schedule an exam. Rabies is a big issue with horses and if you plan to visit an area where rabies is prevalent with animals get your horses vaccinated against it. It is extremely important that your horse is well fed and hydrated during travel. Keep a few bags of hay with you when traveling. If your horse is a slow eater get a slow feeder bag to minimize the chances of your horse choking. Get hay only from your home barn as this would keep your horse comfortable. Offer your horse water at daily intervals. It may be hard to always have a ready supply of water, therefore, you can resort to orally dosing electrolytes. However, that should be the very last option. Some horses will refuse to drink water that tastes or smells different from their home water. Therefore, bring water from your tank or start giving the horse flavored water a few days before the move. Add flavorings like apple juice and lemon. However, they may not be very healthy because of its sugar content. To increase water intake give your horse some alfalfa pellets, beet pulp mashes, and soupy grass hay pellets. Contact a vet before changing your horse's diet as a sudden change in diet may lead to colic. When on the road always be ready for an emergency. Keep an equipped first aid kit ready. Keep the kit near at hand's reach. You need to have a stethoscope, scissors, bandage material, and headlamp in the kit. If you are transporting your horse alone bring a horse buddy for him. It may keep your horse happy. Do not travel with a sick animal as it may infect the others. Make sure that the trailer of your horse well-ventilated and has an appropriate temperature which is not too hot or cold. Have sufficient amount of food, and water stored in the trailer. You should take breaks every two to three hours to refill hay and water. During the breaks take your horse on a walk. It can be a good exercise for your horse that can help maintain its health during the entire trip. Plan overnight rest stops that can help stretch the legs of the horse and help it relax. Upon arrival at your destination check your horse from head to hoof to make sure it is comfortable and healthy. Look for any signs of injuries that may have occurred during travelling, loading, and unloading. If your horse appears attentive and responsive there may be no problems. Offer your horse some fresh grass, hay, and water. Watch your horse for the next twelve hours for any signs of abnormal behavior after unloading. It is normal for horses to go through some weight loss during travel over long distances. Research has shown that horses lose about five percent weight when traveling more than half of day in a cold climate. Healthy horses will regain this weight a few days. If the horse does not regain the weight consider consulting a vet. Your horse will need time to recover after a long trip . Give it time to gain its strength back. The recovery period may be around two to three days. If your horse refuses to feed, exhibits nasal discharge or has an elevated rectal temperature you may need to consult a vet.